Last July, remember that Facebook stocks dropped roughly 20%, lost $120 billion, after announcing it would miss expectations. This new claim is totally realistic though: who does not know people who have 2 or 3 or even 4 different FB accounts? Eventually investors realize that the reality has been deadly embellished and begin to look for the exit doors…. what happens then, is a crash, depending on the severity of the “illusion”. Again, power corrupts and absolute power corrupts absolutely. Monetarism will never promote honesty among top players, regardless of their social classes and ranks. In this sense, expecting the latter to change is very naive because Monetarism inherently creates social top downs. It is about time to walk away from something that has never been, cannot be and will never be. As bad as things have been for Facebook since the Cambridge Analytica scandal broke one year ago, one team of researchers, led by a former peer of Mark Zuckerberg at Harvard who created one of the original Facebook prototypes, thinks the reality of the company’s circumstances is even more dire than investors realize. The team detailed their findings in a 70-page report published on their website. 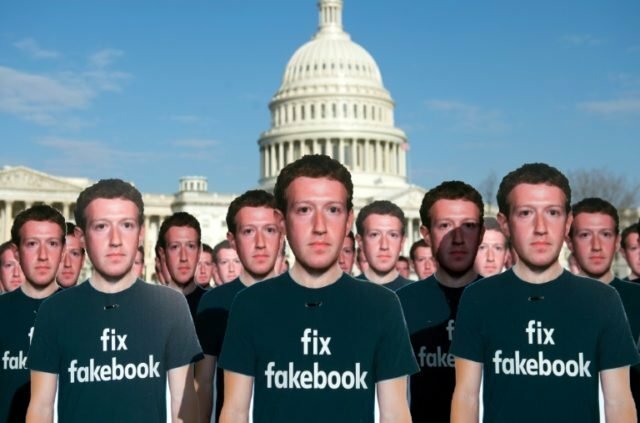 Facebook has been lying to the public about the scale of its problem with fake accounts, which likely exceed 50% of its network. Its official metrics—many of which it has stopped reporting quarterly—are self-contradictory and even farcical. The company has lost control of its own product.